"Jo was a fantastic help both in the lead up to and at our wedding on 1 June 2013. We had a couple of consultations where Jo talked through all the arrangements in detail and followed up with all our suppliers to confirm everything as well as pointed out additional things we might want to consider or had overlooked. On the day itself, nothing was too much trouble for Jo and she took everything in her stride from organising the ushers, transporting and arranging flowers/cakes/food to overseeing all the other suppliers - the list was endless! As a couple, we're both pretty organised so were sceptical at first as to whether we needed an "on the day planner" but thankfully we went ahead and know now that our day would have been chaos without Jo's help. There are so many different things to think about/things that could go wrong which you don't appreciate until the day itself. Jo was able to deal with all this and much more which meant we were all able to thoroughly enjoy the day itself. We both really appreciate Jo's help and support. She really does go above and beyond and her main concern is making sure you're completely satisfied. Thanks again Jo"
"Jo was unbelievably professional and all the suppliers she used regularly were excellent which helped with the total smooth running of the wedding. Jo was excellent on the day of the wedding and really went beyond what she had been asked to do. She made our wedding day perfect and became a good friend throughout the planning of the day. Nothing was ever too much trouble and she was always there no matter what time of day. Jo made sure that she attended every appointment with me, no matter how small the appointment was. She truly made us feel that we were her only clients, when I knew that she was so busy with others too. She truly is a diamond and I cannot recommend her highly enough for an award. I only wish I could get married more often so that Jo could help me!!" "We met Jo and found out she did on-the-day co-ordination and this was just what we needed. From the moment we met her she was so helpful and definitely did more than I would have expected. She was always there to help with any issues or provide the benefit of her expertise. On the actual day she was very calm and took away all the worries I may have had about the smooth running of the day. It all went perfectly so we were all able to relax and enjoy ourselves and did not need to get anxious that all the timings would go to plan. She was simply wonderful and I would highly recommend her. She is a truly genuine person." "Harmony Weddings made our day one to remember. Jo has such creativity and really listened to what we wanted for our big day. We live in China and having Jo in the UK to make all of the arrangements was excellent. We didn't have one moment of worry! She planned the most perfect wedding! My husband and I were over the moon. She was very professional on the day and all of our guests commented on how lovely she was." "Jo was 100 per cent committed to us as her clients. She was extremely professional and also very caring on a personal level. She also has a very high standard and all of her suppliers are very high quality. We also put a lot of pressure on her to find a caterer at the last minute, and she found us a superb caterer two weeks before our wedding! She is also very flexible, and intuitive to her client's needs. She would always go the extra mile, and even though she was fully booked, I always felt like I was her only client, as she put so much attention and energy into our wedding. 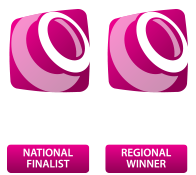 An amazing experience to have her as a wedding planner, and an inspiration to many businesses in the industry." "Our Wedding day was just perfect it ran like clock work and both my husband and myself were perfectly chilled knowing Jo was in the back ground sorting out the finesse of the day. Jo has a magical way of filling you with confidence and realising your dreams of a perfect wedding. Jo is truly the best." "I cannot say enough good things about Jo. She went above and beyond the call of duty. She was so hands on and extremely professional. She was very quick in getting things done and was always available, no matter what time of day. I could not recommend her highly enough."